Refined to a remarkable 5.3 million Scoville heat units our Law Enforcement Pepper Spray series is the hottest, most devastating pepper spray we could find! 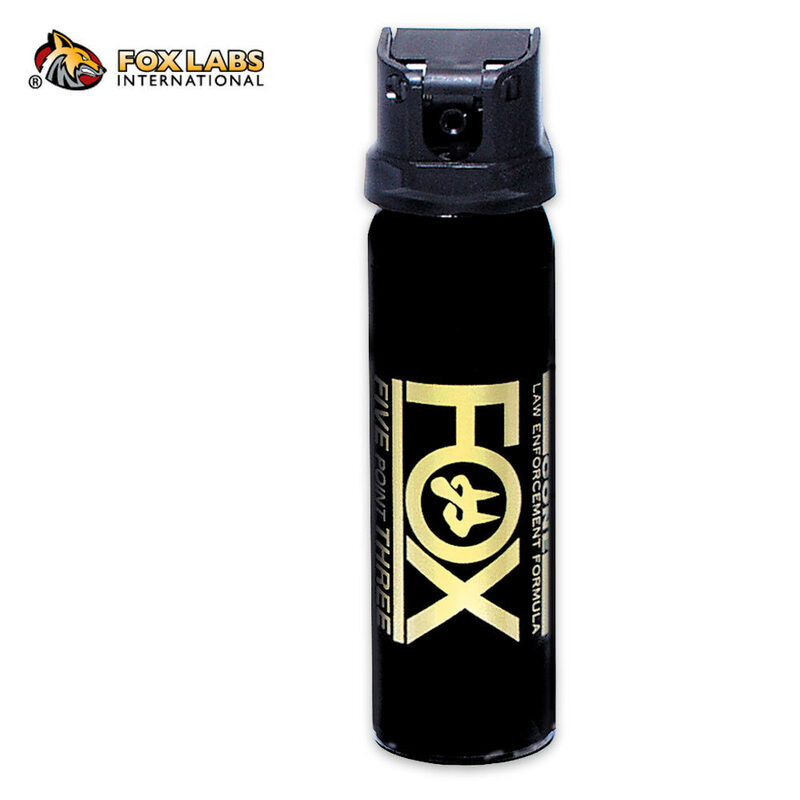 Most pepper sprays are between 1/2 million to 2 million Scoville heat units, which is plenty hot enough to stop a violent attacker, however this spray takes it to the next level. Our staff has tested all popular brand offers and were simply blown away by this formula's heat. This is the only spray which our staff was unwilling to give a second test. 4 oz. unit with cone spray. Max range of 15 to 18 feet. Spring loaded flip top prevents accidental discharge while allowing quick trigger access. Three year manufacturer warranty from date of production or "birth" date. Available to the public though designed for Law Enforcement and Military use, this product line does not include a flashy retail box, clam pack or similar retail marketing. Instead they are mass packaged in nondescript boxes which may be quickly opened and dispersed to personnel for immediate "on duty" use. We re-package those individual units for safe shipment. This stuff literally saved my partner and I's life. Working as a unarmed(not my choice) security officer who has to patrol streets at night as well as respond to calls of all sorts, this truly is a great thing to carry and has major stopping power. I've had to use it 4 times, the day after I bought it I had a suspect my partner and I were attempting to detain(put in cuffs) the suspect opened his car glove box and began to reach for a gun. I pushed my partner away, grabbed the OC can and let loose. Neither he or I could see, and my partner retrieved the gun when I had the suspect on the ground. He requested medical attention due to the burn, I just washed off with water and fought through the pain. It lasted about an hour and a half and i just got back lash from the wind. So, seriously, buy it. incredible distance. that's about all I've got. this stuff is downright frightening. I've only had to use it once since buying it, but it is simply devastating.